Home > Uncategorized > SanDisk Ultra PLUS 128GB microSDXC UHS-I Memory Card with adapter Only $18.99 + Free Shipping! 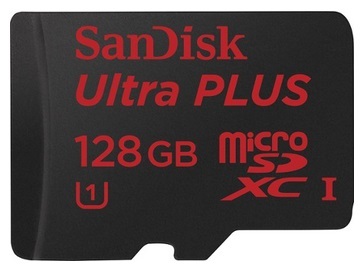 SanDisk Ultra PLUS 128GB microSDXC UHS-I Memory Card with adapter Only $18.99 + Free Shipping! December 10, 2018 Comments Off on SanDisk Ultra PLUS 128GB microSDXC UHS-I Memory Card with adapter Only $18.99 + Free Shipping! Best Buy has the SanDisk Ultra PLUS 128GB microSDXC UHS-I Memory Card with adapter marked down to only $18.99 + Free shipping! KidKraft 2-in-1 Activity Table Only $40.14 + Free Shipping (Includes 30-Pc Wooden Train Kit & 200 Building Bricks)!